Training and combat readiness maintenance is a central task of routine of the Army Corps 2 - a main, mobile unit of the Ministry of National Defence. Thus, the Corps’ Party Committee and High Command have focused their leadership and direction over this important task, meeting the requirements to safeguard the Homeland in the new situation. Typically, in 2017, the Corps was the main force in the “Strategic combat exercise in the Northern battlefield” (MB-17) and the “Live-firing joint and combined operational exercise (DT-17), and was highly appreciated by the Party, State, Central Military Commission, Ministry of National Defence, localities and other ministries, committees and sectors. To successfully fulfil the task of training and combat readiness, the Corps has adopted measures synchronously with the ideological work as the focus to build cadres and troops’ political stuff and strong determination to overcome all difficulties and hardships, and undertake and fulfil all the assigned tasks. First, party committees and commanders at all levels have grasped the Party’s guidelines and stayed close to reality of the task and their unit to conduct the ideological work. This is a matter of principle and the basis for determining measures properly. To do so, the Corps has asked commanders of offices and units, particularly cadres in charge of the ideological work to grasp higher echelons’ resolutions and directives on the ideological work and the military, defence, Homeland protection tasks, first and foremost: the Party’s Central Resolution 8 (11th tenure) on “The strategy to defend the Homeland in the new situation”, the Resolution of the 10th Military Party Congress, the Central Military Commission’s Resolution 765-NQ/QUTW on “Enhancing the quality of training in the 2013-2020 period and beyond”. Learning from lessons on several violations of discipline by grass-roots level units, the Corps has come to realize that the work of ideology must stay close to reality, goal, and requirements of the training and combat readiness task as well as cadres and troops’ thought and aspirations. Moreover, the ideological work must make a forecast about troops’ ideological situation and issues related to this work to determine measures for leadership properly and ensure that this work always plays a vanguard role in all operations and in orienting troops politically. Conducting the ideological work in a comprehensive, focalized manner with a focus on political education. Against the backdrop of intense training and combat readiness, harsh weather, complicated terrain, and difficulties in logistics support, cadres and troops must be prepared mentally and physically. Thus, over the past time, party committees and commanders at all levels have concentrated their leadership and direction on the work of political education; adhered to the Project to “renew the political education work in units in the new period” by the Ministry of National Defence; closely combined basic education with regular education, and mass education with individual education. The content of education has focused on building cadres and troops’ political stuff, combat morale, sense of unity and discipline, and faith in the existing materiel and Vietnam’s military arts. Forms and methods of education have been employed flexibly in accordance with each content of training and specific conditions in order to make the ideological work highly creative and convincing, thereby contributing to the stabilization of the ideological situation and the Unit’s successful fulfilment of training and combat readiness task. Offices and units have always paid due regard to the work of propaganda in training ground, particularly in exercises, while ensuring and organizing cultural, artistic, spiritual activities to make troops pleasant, optimistic and ready to undertake and fulfil all the assigned task. Typically, in the exercise of 2017 with the participation of thousands of cadres and troops, which took place for months in mountainous terrain and harsh weather, 100% of cadres and troops determinedly, successfully, safely fulfilled their assigned task. Another important measure to enhance the quality of the ideological work is that the Corps has paid due attention to improving qualities, knowledge and capability of cadres at all levels, particularly political cadres and political office staff as the core force to direct, guide and perform this work. The ideological work is the responsibility of party committees and organizations at all levels, of all sectors and forces in a unit, but the core force represents political commissars, cadres and offices at all levels. Perceiving that, over the past years, the Corps’ Party Committee and High Command have built political cadre staff and offices quantitatively and qualitatively with priority given to the units tasked with training and combat readiness. Annually, the Corps has organized training courses on new issues of the political, ideological work, the arising situations, and skills in grasping, managing and settling ideological situations, while improving its staff’s military, logistics, and technical knowledge. Significance has been attached to self-study and self-improvement according to standards for cadres and party members to make them examples as “wordless orders” for troops to follow. Consequently, the Corp’s political cadres and staff of its political offices have well fulfilled the mission requirements; its political commissars and junior political commissars have promoted their role as political leaders and the core of unity in its units, contributing to building comprehensively strong offices and units, and successfully fulfilling their responsibilities and assigned tasks. 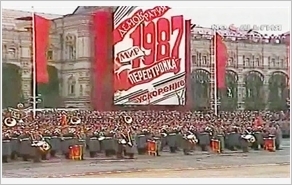 Realities of the Corps’s ideological work have proved that it is necessary to promote the synergy during the process of conducting this work and closely combine the work with items of the party, political work, such as the organization work, personnel work, policy work, political protection work, mass mobilization work. Offices and units have associated the ideological work with the acceleration of the “Determined to Win” Emulation movement, the Campaign “promoting tradition, devoting talent, deserving to be Uncle Ho’s soldiers”, and other movements launched by mass organizations and sectors to encourage, educate and train the troops. The Corps’ units have identified the targets of training and combat readiness as the centrepiece of emulation; associated regular emulation with breakthrough emulation movements; successfully conducted the work of commendation and reward; set up and multiplied typical examples and “good people, good work” examples. Before, during and after each training, exercise season, party organizations, commands, mass organizations, and Soldiers’ Council have conducted preliminary reviews to draw lessons on the ideological work, ensuring that political-spiritual factor has always been promoted and the party, political work has always been carried out synchronously, effectively. At the same time, offices and units have closely cooperated with local party committees, authorities and organizations in the ideological work to assist cadres and troops in performing the task and ensuring security and safety of training and exercises. Moreover, the Corps’ Party Committee has attached importance to building clean, strong party committees and organizations as the core of unity to maintain the principle and promote their leadership role in the ideological work . Focuses of the building of party committees and organizations have been on stepping up self-criticism and criticism according to the Party’s Central Resolution 4 (12th tenure) on the Party building and rectification in line with the implementation of the 12th Politburo’s Directive 05-CT/TW on acceleration of studying and following Ho Chi Minh’s thought, morality and lifestyle as an important measure and a task of routine to educate and train cadres and party members. When conducting the ideological work during training and combat readiness, the Corps has attached importance to “building” and “combating” with the former as the fundamental, long-term task. Units and offices have been proactive in fighting to foil the “peaceful evolution” strategy and artifices of “self-evolution”, “self-transformation”, “Military depoliticization” and “Military civilization” by hostile forces. At the same time, units and offices have resolutely fought against negative, backward phenomena, fearfulness of hardship, dependence, and lack of vigilance, while opportunely encourage troops to dare to think, dare to do, actively promote creativity and a sense of unity and discipline in performing the task. Bringing into play the recorded results and experience of the ideological work in performing the task of training and combat readiness, the Army Corps 2 will continue to strengthen its leadership and direction over this important work, contributing to enhancing its synergy and combativeness, ensuring its successful fulfilment of the assigned task.